Internet trolling is at its worst. Though Wu has been particularly vocal about the threats she's received, she is hardly the only one being targeted. 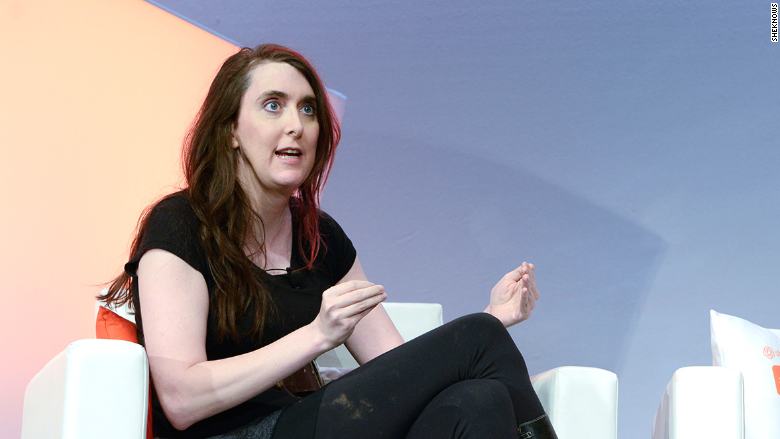 Anyone deemed to be a feminist crusader -- or a threat to gaming's status quo -- is a possible target. "If you run a website where people can congregate, you have a moral responsibility to make sure that community is not harassed," Wu said in a keynote at the BlogHer conference in New York City on Saturday. "Twitter has completely failed. Reddit has completely failed." On Thursday, Reddit's newly reappointed CEO Steve Huffman proposed a new set of regulations for the site. Users were outraged, which doesn't bode well for the site's plans to crack down on harassment. Wu -- who refers to the harassment as "emotional terrorism" -- is not the only one to notice that online threats are getting worse. Ellen Pao -- the former interim CEO of Reddit -- penned an op-ed in the Washington Post on Thursday about being trolled on the very site she was running. "I think this is the year technology hit rock bottom," said Wu. "When the powerful CEO of the tenth most trafficked website in the world can't even do her job because she's getting so much misogynistic harassment -- that is a problem." "The truth is there is no one there prosecuting this type of stuff -- it is not a priority," she told CNNMoney. "It is incompetence or it's apathy -- take your pick."